The following is a book review completed for Susan Marlow and Kregel Publications as a member of the TOS Schoolhouse Review Crew. 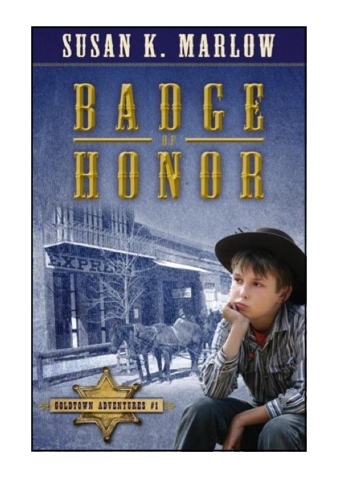 Badge of Honor is the first book in the Goldtown Adventures series. The paperback book ($7.99 autographed) is written for children ages 9-13. My daughter discovered this author several years ago, and enjoyed reading her Circle C Adventures books. I was delighted to see this new series for boys just my son's age. My nine year old son read this book out loud to me. Most of the words were at his reading level, only requiring occasional assistance. I enjoyed his enthusiasm as he read, he is learning to add more emotion to his reading voice. "It is a great book to read out loud. It is about a boy named Jem and his sister Ellie, and the story begins in the spring. They I live in Gold town. Jem pans for gold in the creek, but has never struck it rich. 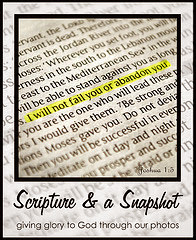 This book may inspire you to write a similar story." Jem and Ellie's father is the new sheriff in town, and catching his children playing hooky is just the beginning of the adventures. A link is shared in the back of he book to a free 24 page downloadable enrichment guide. We easily and conveniently opened it in the iBook app, and I used it to facilitate further discussion with my son.The included vocabulary may not be quite what you would expect. Instead of only traditional words, selections include phrases such as "to hit color." There were essays, activities, and related articles as well as character studies. See what other crew members shared in their reviews here. Some received the second book in the series, Tunnel of Gold. Just stopping by to say "thanks" for your lovely review of Badge. 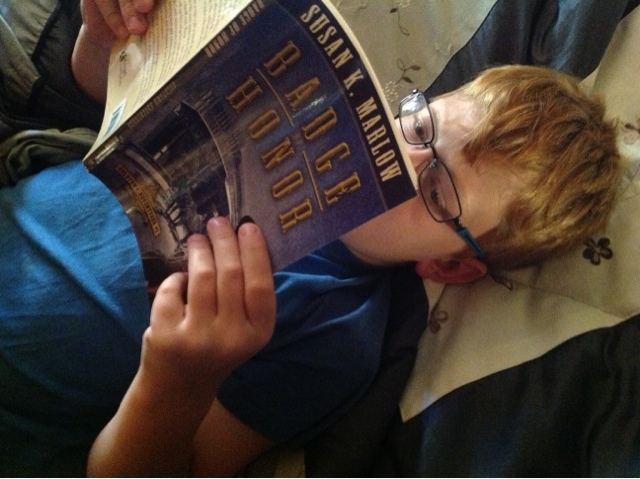 I always like it when I see a picture of a happy reader enjoy faraway places via a book! We have enjoyed all of your books that we have read.